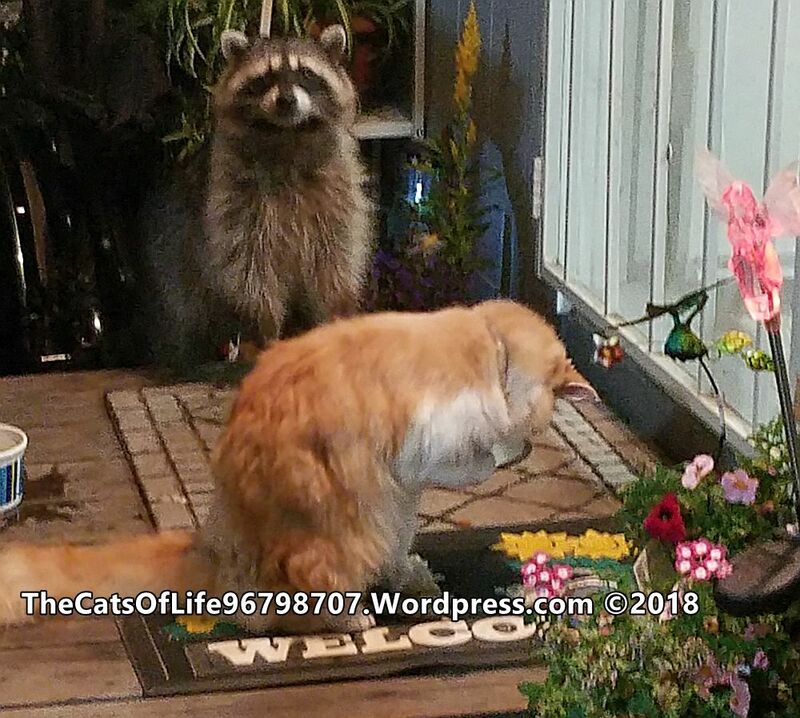 Thank you for visiting The Cats of Life! This is a VERY IMPORTANT site which has been needed for some time. It provides a home for general provision, discussion, promotion, and dissemination of information on cats and kittens. There is a large community of people that do not even know they need this site. Why am I some sort of authority for you to pay attention to? You could click to read about me, or I can just give you the short version here. 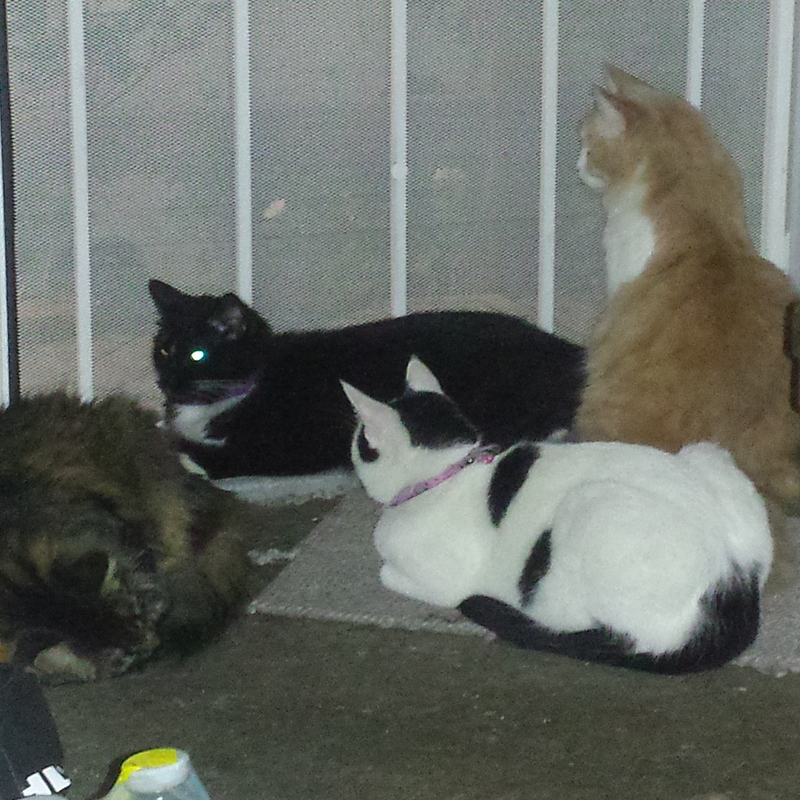 I have a household with multiple cats of various ages and origins. If there is something to know, I have probably had to deal with it. Experience is important in helping people, and that is the first thing I bring to you. Research, contacts, knowledge, and my cats all make this a valuable resource you should know, visit, and use often. While this page is located and focused in San Luis Obispo and Northern Santa Barbara Counties, it also covers the Central Coast of California, with issues, tips, and information that applies well across the United States. Of course, people worldwide will find value, helpful information, and entertainment they can appreciate. Read through the pages and posts, and you will see the universal nature of this site. Nobody is discouraged from visiting and finding valuable information here. Browse around a bit, follow the menu above, click on links, share pages and MY CAT BLOG POSTS using the SOCIAL LINK ICONS below, and check everything out. If you don’t find what you need, use the CONTACT FORM to let me know, or comment below each page or blog entry to share your needs, questions, and concerns. Either myself or visitors will take on the issue for you. I would also love to have your testimonials about how this site or I have helped you in your cat world. I will provide you with affiliate links to items or discounts and services I believe you will benefit from or like. For instance, how about A DISCOUNT UP TO 70% OFF home decor, where you can find cat related items? Or this very attractive CAT WALL ART made by Hoagard. They are a Turkish design and production company that makes detailed, eye-catching metal wall-hangings crafted from black steel, with a degree of dimension that makes a beautiful art piece. Most cat lovers add art or decor to our homes to honor our pet of choice. Try these items I linked for you. This site is meant to help people understand, enjoy, and even want to adopt, cats, cats, and more cats. Pets can benefit a household greatly. Of course, a percentage of the population suffers from allergies, some live in a place where pets are prohibited, some cannot afford pet care, and others are not home enough to be a good pet owner. There is also that percentage that just does not want to have a pet because they are smelly, dirty, and lick themselves. The cats, not necessarily the people that don’t want them. Maybe they should compare pets to teenagers. Did you know that ownership between cats and dogs is fairly close to equal? According to the American Veterinary Medical Association book, “U.S. Pet Ownership & Demographics Sourcebook (2012)“, about 36.5% of homes own dogs, and a whopping 30.4% of homes own cats. You may not see this in your neighborhood, but that is likely because people don’t walk their cats, take them to the market, or talk about them to dog owners. However, according to their statistics, in 2011, six-out-of-ten pet owners, or 63.2%, considered their pets to be family members. That means cats are very dear to us, just as mine are to me. They also found there were approximately 74.1 million pet cats, meaning this site has a lot of work to do. Stay along for the ride, and help me make it work for everyone. More recently, the American Pet Products Association commissioned a study with results showing that 68% of households are pet owners, with 48% owning dogs, and 38% owning cats. The ratios are close to the same, but you can see a greater percentage of households are reporting pet ownership in this survey. I wonder if they had a bone to pick with pet suppliers. Like many of you, I have several cats and enjoy their diversity and characters. Do you sing special songs to them? Talk to them and expect answers? Do you think you know what they are saying in return? Do you get energetic spurts to play with them and stimulate them? Do you take lots of pictures and find yourself sharing them at the market? Do you think of them at odd times when you are not home? We are hooked. We want to know as much as we can, to benefit our loving family members. 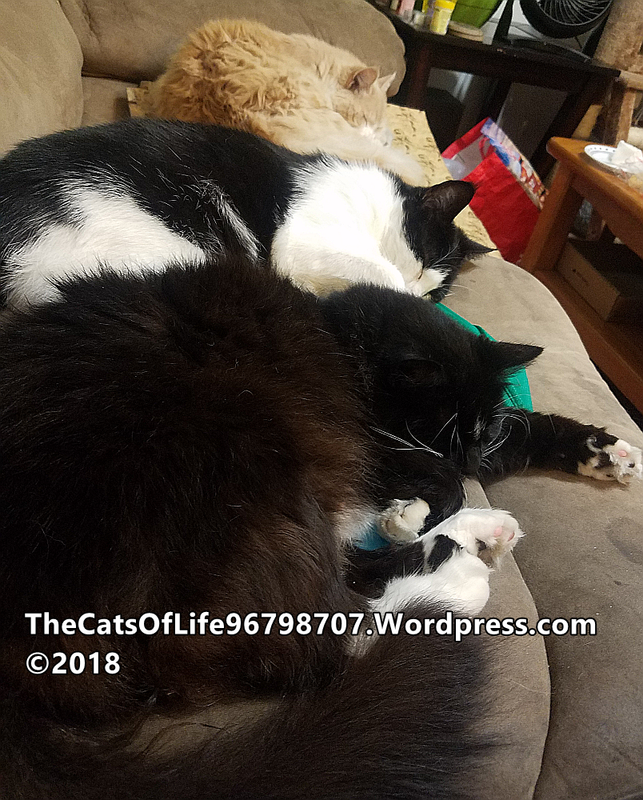 Be sure to visit my Blog Posts from the menu above to get the current information and introductions to my cats and some great tips and insights you might use. I provide you with tips and information you can use both as a new and experienced cat owner, some entertainment, and lots of good times and referrals to important information you can use. 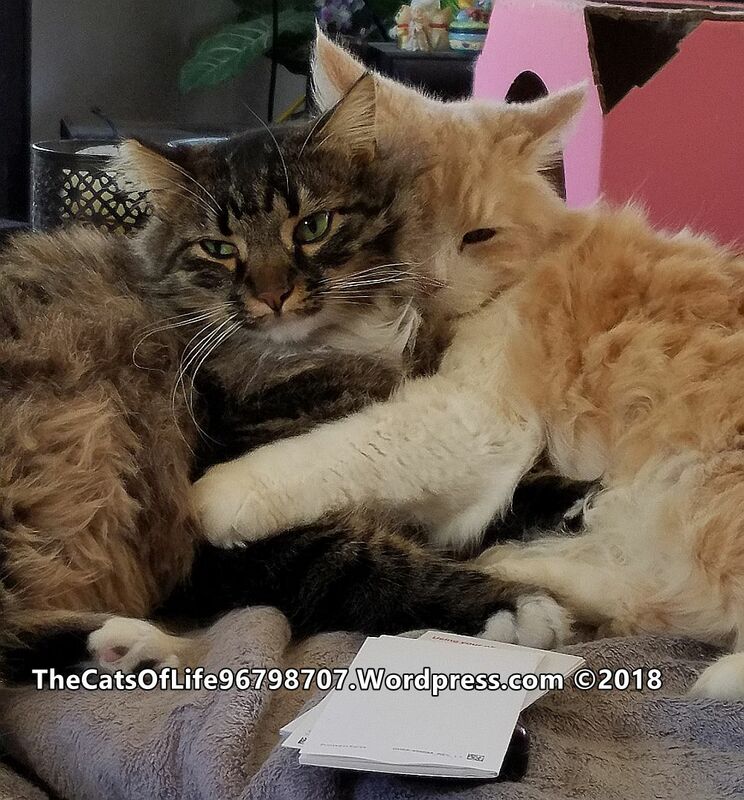 By sharing experience with my cats along with important information I bring you here, I hope to make the real life of cat ownership clear to you, and easier for you to accept and manage. I want to add a new dimension to your relationships. We should also make the life of your dear cats pleasant and healthy. I am sure you agree that cats should NEVER go on with pain, cruelty, and neglect. You probably also believe, as I do, that cats should be treated with respect and understanding and not allowed to suffer mentally because you as their owner don’t understand them. I hope you will not feel I am preaching at or speaking down to you by presenting this information. I am just passionate about cats and families, and I hope you will become passionate too, if you are not already. I treat everyone as equals and respect all opinions. My job here is to bring people and cats together in a goal to be better pets and owners. I am not the know-it-all of cats, but can bring information to you from sources. Even if you could find it yourself, asking me here by commenting below can help others learn. We all know that cats do not deserve to be treated like second class members of a household, and are not meant to be ignored or forgotten when it comes to their needs and desires. Cats want to be part of your home, even if it is not perfect. The least we can do is make it purrfect for them. Cats give love and affection. It is just up to us to recognize it, because it is much more subtle than from people and dogs. Sign Up for The Cats of Life Meow Times Newsletter! If you want continual learning, you may also benefit from a little newsletter I put out. I have two versions, the Full Version is a paid subscription that is only $19 per month and comes out once to twice per month with additional tips, articles, information, recommendations, entertainment, events, dates, and so much more. You may also be sent a special edition for news, current events, or important timely information you should have. Simply subscribe to The Cats of Life Meow Times. This will get you news that is fit for cats. You can also subscribe for a full year prepaid for only $199 total. If you only want a little entertainment, product recommendations and links, news on changes to this website, and a short article of helpful info, then you can subscribe to The Cats of Life Meow Times Express, which is a cut down version that comes out only once per month, but will provide some reading about cats you might appreciate. One thing is for certain in the difference between dogs and cats. Dogs will usually stay in a small area, once they are established there. Sure, some will run away and have to be found again, but look at the general population of penned in dogs. Cats have a territory up to 5 miles! Open your door and the cat owns the ground you stand on while the dog usually wants to come back in sooner than the cat. You get a dog, you feed it, show it love, provide a home, and they depend on you, stay with you, live there no matter what. Unfortunately you can even abuse a dog and they will stay with you lovingly, even though it makes me sick to think of someone doing that. Cats are not like that. If you abuse a cat, it will leave you in a heartbeat. They will stay devoted to you as long as you are a good and decent human being. You don’t chose the cat, the cat chooses you. You will find out more about this when you learn about my cat, Lily. If a cat stays with you, you are worthy. You are truly loved and respected as an equal. A cat will not stay in one place. They wander. They have a territory. The only question becomes; where will they hang their hat? They choose to live with you. When you are blessed by a cat, you have the ultimate seal of approval, validation, acknowledgement that you are a decent person and worthy of their presence. This seems snooty or snobbish to some people, but it is more than that. It is respect for self. They will not choose a home out of dependence. They choose it by preference. A cat can get along anywhere. They are small enough and fast enough to survive in the most urban environments. Think Alley Cats. They will fend for themselves, defend their area, and clean up the streets. Some will even attack a dog every now and then, like my cat, Yuki. I am not talking about hoarders that keep dozens of cats locked up in their home and do not clean up after them, and let them run the roost. That is a sickness in a person, but even with all of that, cats are devoted enough to stay with them through these trials and mental health issues. Cats can even be therapy animals for those in need. Cats provide such support for our mental well being. One way to keep your cats home and happy and even benefit ourselves is to provide them with THIS FUN STUFF AND STIMULATION, in addition to their food and water. I was checking out this affiliate, and they have some great coupons. They will change as offers do, but this pet toy page has some cool stuff on it right now. Can you find the catnip pretzel? You buy one and get two. You have to check this out to see what kind of goodies they have for your cat (and dog). Just come here and click the link to see what’s new. Cats will surprise you, love you, show you affection you never knew they were capable of. Many people never feel the striking love and care a cat bestows upon you if they never adopt one. Remember that you have to earn a cat. It doesn’t just live with you, it lives WITH you. Cat’s don’t have a “master” they have a partner. You may seem like daddy cat or mommy cat, and they will give you every bit of respect and love they can muster. There is a cat that visits here a few nights a week now. Last night was tuna night, so it was a lucky night. I have been putting a little food and water out for it on occasion. Even if I don’t have food, it comes and hangs out, pokes it’s head in when I open the door to go outside to see it (my cats don’t like that at all), and when I go out and sit down, it just sits facing me like we are having a chat. Last night was the first time my Siamese mix saw this, and she went ballistic. She was hissing and yelling through the security screen door, reaching underneath it, rolling around trying to get out while screaming bloody murder. It didn’t dawn on me at that moment because I saw how upset the visitor had become, being scared to go up the stairs again. In retrospect, I see what happened. My angel Sweet Pea was PROTECTING ME from an intruder. All this time, I had been caring for her, but noticed she tends to take a sentinel stance many times she is with me. When I realized what happened, I played it back in my head, and realized how much her LOVE FOR ME made her ready to RISK HER OWN LIFE to help and protect me. This is a trait dog lovers think only dogs possess. I will show you with this blog and videos that you can count on a cat to be part of your family, a valued pet, a prized household pal. I don’t advocate against dogs. I love dogs. My daughter has a cool little reindeer Chihuahua that plays with some of my cats. I would have a Jack Russel Terrier or Beagle again if I had the space and energy for them. They are smart energetic dogs. Instead, I have my cats. I can tell you that having a multiple cat household is very much like having a family of children. Personalities, tantrums, demands, and affection are every bit as demanding and challenging as raising children. I did my time with kids, now I’m doing it with cats. The difference is, they eat less and cost less than actual children. I am just glad none of them are as big a brat as I was. 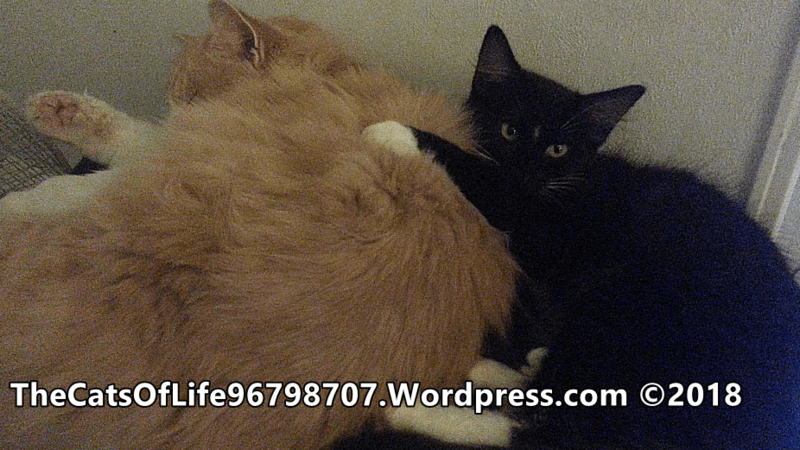 Please share then bookmark, follow, like, and subscribe to all formats for The Cats of Life. You will see social icons below for Facebook, YouTube, Twitter, Pinterest, Google Plus, Reddit, Linkedin, eMail, and this Blog. Please share with your friends, as well. Do you have cats and want friends and family to understand what you see in cats? Do they make fun of you because you dedicate yourself to cats and sing to them, talk to them, pamper them? This is the place to validate your life with cats. Read. Comment. Share. Thank you.